In an attempt to circumscribe the range of “nefarious conduct” that may amount to plagiarism, many resort to a discourse on ethical standards, literary technique, institutional values, citation methodology, copyright infringement or theft. Although these discussions, at least in part, approach a grasp on what plagiarism means, none are acceptable from a legal perspective. Moreover, while reliance is placed on moral considerations instead of the law, the intolerable risk remains that cases of plagiarism will be adulterated by the myriad of personal details, factual inaccuracies, time constraints and peculiarities of company culture that make up the typical plagiarism dispute. Therefore, anyone who has ever put pen to paper, or fingers to keys, should heed those parts of the law that prescribe the extent to which one may lay claim to words, ideas, composition, interpretation or the presentation of information. It is true that plagiarism is not a legal concept in the strict sense. It is not defined by any statute or specifically regulated by the common law. Industry-specific codes or policy does not amount to law, regardless of the consequences attached thereto. However, this does not mean that the law is not concerned with plagiarism – far from it. Plagiarism has been raised, or mooted, in a number of reported judgments of the court in relation to a surprising variety of disputes and different fields of law. These include copyright infringement in news articles, dictionary entries, a medical package insert and a textbook on income tax, trade-mark infringement and unlawful competition in relation to a magazine and website entries, patent infringement in relation to a method for laying paving, clerical errors in a patent application, a dispute about the registered design for packing crates for bottles and the review of ministerial decisions regarding the refusal of an exclusive prospecting license for uranium. It is not surprising that this hodgepodge of attempts to foist plagiarism on the law have failed to deliver judicial guidance on the nature or scope of plagiarism. None of these cases have attempted, or even considered, plagiarism in its proper legal context, namely, the law of delict in the form of misrepresentation or its criminal counterparts, namely, fraud, forgery and uttering. In short, a misrepresentation “occurs when the wrongdoer makes an incorrect or misleading representation in a wrongful and culpable manner to another person who acts on it to his detriment.” This entails several elements. The misrepresentation may be committed intentionally or negligently and it must be shown that the misrepresentation was wrongful, inasmuch as it amounted to a breach of a legal duty. In the case of plagiarism, the legal duty to provide accurate information about the origin of the information is usually derived from a contract between the parties or a general contractual undertaking such as an industry-specific code, plagiarism or academic integrity policy or code of conduct. Where no contractual duty exists, wrongfulness in the case of plagiarism may be determined with reference to the occupation, or professional capacity, of the author. If it is alleged that plagiarism was committed by mistake, in neglect of a legal duty to provide accurate information, the conduct of the author will remain actionable if it falls below the reasonable standard that may be expected under the prevailing circumstances. Lastly, the act of plagiarism must have caused the complainant harm in some form because he/she acted upon the misrepresentation. In the case of plagiarism, it is often apparent that harm has been caused. For example, a publisher who accepted a manuscript and expended resources to distribute the work, or an institution who accredited the work and imperilled its reputation in the process, may justifiably complain of a misrepresentation for which damages are payable. In addition, plagiarism may amount to a criminal act where the misrepresentation is made with the intent to deceive. In such cases, plagiarism amounts to fraud. The act of unlawfully producing a false document and the act of submitting, or so-called putting off, a forged document constitutes two further criminal offenses, namely, forgery and uttering, provided that all the other elements of the crime are met. In all three cases it must be shown that prejudice was caused by the action of the defendant. However, unlike the civil action discussed above, the element of prejudice for purposes of fraud, forgery and uttering is not limited to actual harm and includes potential prejudice to any other party. In order to station plagiarism within this legal context, it is necessary to define the act of plagiarism and understand its full scope. In short, plagiarism addresses the paternity of intellectual expression. This is a two-part enquiry. On the one hand, it deals with the identity of the author and their rights to lay claim to the work. On the other hand, plagiarism is concerned with the effect of the work on the actions of the public. Unfortunately, as illustrated by the above reported cases, the second part of the plagiarism enquiry is often ignored despite the fact that it is, from a legal perspective, the more important element. For example, a textbook that contains plagiarised text infringes the legal rights of the unacknowledged author and it causes the public to believe that the author of the book is responsible for all of the text and the value attributable to that text. The public, such as the reader, reviewer, publisher, editor or accrediting institution, is placed under a false impression (a misrepresentation by the author) which caused, or has the potential to inflict, some form of prejudice. Thus, from a legal perspective, plagiarism is an instance of deception which is actionable by several parties including the state. Depending on the nature and effect of the misrepresentation, plagiarism may be grounds for civil and/or criminal liability. This is true even if the unacknowledged author does not feel aggrieved, has waived his rights or cannot be located. Plagiarism as a form of misrepresentation in civil law is applicable to all works, whether or not it is protected by copyright law. The criminal sanctions discussed above are, however, restricted to documents (defined as any form of writing or marks that communicate a human statement) and do not include audio/visual works. Clearly, plagiarism has distinct legal characteristics, and yet, it is not defined in law. Therefore, in order to proceed it is necessary to give meaning to the action of plagiarism. That is, one must define what it is to plagiarise. Unless there is persuasive reason to deviate from the norm, and in the absence of a legal definition, the law attaches the ordinary, dictionary meaning to words. It is submitted that a suitably correct and concise meaning of plagiarise is, “to copy another person’s ideas, words or work and pretend that they are your own”. Despite its apparent simplicity, this definition should be disassembled to illustrate why plagiarism resorts, in the first place, to those areas of the civil and criminal law that deal with misrepresentation. First, plagiarism is the act of copying ideas, words or work. Therefore, it is similar in sentiment to that part of copyright law which prohibits the reproduction of any substantial part of another’s intellectual expression. This means that, similar to copyright infringement, in order for plagiarism to occur there must be a manifestation, or representation in material form, of another’s ideas, words or work. It is not surprising that, as a result, many have attempted to deal with an instance of plagiarism as a form of copyright infringement. Copyright law, insofar as it protects against the unauthorised use of one’s work, may be applicable in the case of plagiarism. However, many cases of plagiarism will not pass the test for copyright infringement. 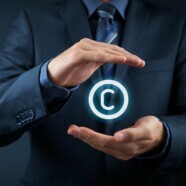 In addition, the requirement of originality in copyright law differs profoundly from the originality standard expected of those who wish to avoid an accusation of plagiarism. In fact, it is trite that a work plagued by examples of both plagiarism and copyright infringement may, nevertheless, qualify for protection in terms of copyright law. In short, one may well have a right in law to copy and print, but that does not mean one is allowed to claim authorship, or ownership, of that which is being printed. Similarly, the act of reproducing any part of another’s work may, in certain circumstances, be permitted by copyright law, but that same act remains actionable in terms of the law as an instance of misrepresentation. This fact is particularly relevant in the case of commissioned works, i.e. works created, compiled or distributed in exchange for some form of remuneration. The fact that permission has been granted for the work to be reproduced, adapted or published does not mean that the user is free to present it as his/her own. The fact that the work has been commissioned does not indemnify the commissioning party against a claim in law by anyone who relied on the false impression created by the inaccurate indication of authorship. Secondly, plagiarism is defined as the use of ideas, words or work of another. Thus, contrary to the well-intentioned opinion of some, plagiarism may also occur in the absence of text borrowing. It is true that copyright does not vest in ideas, but the law will nevertheless concern itself with those who present information, including ideas, in a false light. Furthermore, text is a communication medium that conveys meaning in a literal and contextual manner. The author may, depending on the selection and arrangement of words, deliver a message that goes beyond the collected definitions of those words. This literary effort to imbue the text with secondary meaning or effect may be viewed as the work and goes beyond the mere idea or the literal text. By including ideas and work as elements of the protected expression for the purpose of plagiarism, the definition includes both the text and the value of that text. Furthermore, it recognises the fact that plagiarism may also relate to non-textual/visual works and blended works such as graphs, illustrations and compilations. Plagiarism as a legal transgression is, as explained above, concerned with the impression created by the author about his/her entitlement to the work. In the event that the reader is deceived, or misinformed, about the identity of the person who originated the text or the value expressed by that text, plagiarism is committed. In this context, the value of the text relates to the meaning, concept, submission, argument, approach, stylistic technique, literary quality, insight, inspiration or any other non-textual element of the original text. In the case of scholastic or creative work, this is of particular significance. Considering that most, if not all, literary works, including creative writing and academic research output, are evaluated according to its scholarly and/or literary merit, it is clear that credit may only be awarded for that which is truly original to the author of that work. Consequently, any failure to indicate that the value of the text is derived from elsewhere creates a false impression of intellectual endeavour. This amounts to plagiarism even where no duplication of text took place. Thirdly, to plagiarise is to present ideas, words or work and pretend that they are your own. This element is the reason why some may argue that a commissioned work, or one’s own work, cannot be plagiarised. This is, of course, incorrect. Permission to freely use a work, which commonly accompanies a commissioning agreement, can never be construed as a defence to plagiarism. The fact that the work was created in exchange for remuneration does not change this position and may, in law, be considered an aggravating factor indicative of an intention to deceive. While it is true that permission to copy, publish or otherwise use another’s work may avoid some forms of legal liability, this does not exhaust the application of the law. Plagiarism is, in the first place, a form of misrepresentation and it is impossible to obtain permission to deceive another. It is the nature of misrepresentation, namely, the obfuscation of reality, that makes it eminently suitable to encompass plagiarism. Therefore, in order to avoid plagiarism, care must be taken to prevent any misrepresentation. It must be clear from the text which words or part of the underlying idea is attributable to the named author of the work. If this is not manifest in the text, a prima facie case of plagiarism is made. This point is best understood if one considers the credit awarded to the author. In the event that a work portrays its contents to be the product of the author, and fails to indicate the work of those that inspired it or expressed it first, all credit for the text and the meaning of the text is attributed to the author. In this scenario, the author is credited with the intellectual endeavour of another, rewarded for an investment they did not make and liable for creating an impression of excellence that is not deserved or justified by the work. This form of plagiarism is most common among those who approach writing as a checklist exercise to avoid culpability, by technical or editorial means. In other words, those who endeavour to paraphrase, count the number of words copied or seek to define ideas as common knowledge in order to avoid citation will usual fall foul of the plagiarism definition. The same credit-test answers the question of self-plagiarism. The fact that one is the originator of the text or idea does not mean that it may be recycled for further credit, in whatever form. Where a work or idea has been published, plagiarism will follow if the same work, words or ideas are presented again, in any guise, for any form of credit. In such cases, the misrepresentation does not relate to the identity of the author, since these are the same. Instead, it is the impression that the author is presenting novel work deserving of credit which is of concern. Of course, where the claim for credit is clearly qualified by, for example, an indication that the submitted text, work or idea has been recognised before, plagiarism is avoided. However, in the absence of such citation, the essential element of plagiarism, namely, misrepresentation, remains, despite the fact that the author is presenting their own work. In light of the above, it is clear that plagiarism is not primarily an ethical question. The fact that the law does not define plagiarism does not mean that it is not subject to judicial scrutiny. Lamentable as our collection of case law on plagiarism may be, this should not create the false impression that the law is not concerned with plagiarism or incapable of addressing it in earnest. In literature, as in life, the grey areas of intertextuality, mimicry, pastiche and contextual transformation may not be allowed to excuse, or even influence, a discussion of what is right or wrong. The yardstick for that is, and should remain, the law. * This is the original version of this article. An authorised translation of this article in Afrikaans has been published as part of the PEN Afrikaans series on Litnet, available here. Dean, OH Handbook of South African Copyright Law 14ed (2012) Juta 1-91. Even the Publisher’s Association of South Africa, in its document entitled “Plagiarism: An introduction for publishers, authors & editors” (27 August 2007) at 3 submit that plagiarism is nothing more than a matter of ethics. See http://www.publishsa.co.za/file/1456821840tok-pasaplagiarismdocument.pdf. See for example Van Vuuren, H (2007) “Plagiaat, navolging en intertekstualiteit by die vorming van literêre reputasies” in Litnet Akademies (Geesteswetenskappe) available at https://www.litnet.co.za/plagiaat-navolging-en-intertekstualiteit-by-die-vorming-van-literere-reputasies-2000/. See for example Hugo, C (2006) Die kulkuns van die letterdief. ‘n Ondersoek na plagiaat in die Suid-Afrikaanse gedrukte media, met spesiale verwysing na drie onlangse gevallestudies. MA Thesis, University of Stellenbosch; Geyer, S (2006) ‘Plagiarism and Copyright Infringement: Defining the Common Ground’ (69) Tydskrif vir Hedendaagse Romeins-Hollandse Reg 573. It must be noted that theft is not applicable to a discussion of plagiarism in any way. The crime of theft cannot be committed in relation to incorporeal property such as intellectual property rights and theft by appropriation will only take place if the perpetrator exercises the rights of another in such a manner that it “terminates the owner’s ability to derive benefit from it”. See Burchell, J and Milton, J Principles of Criminal Law 2ed (2002) Juta 545-6. Moneyweb (Pty) Ltd v Media24 Ltd and Another 2016 BIP 326 (GJ). Media 24 Books (Pty) Ltd v Oxford University Press Southern Africa (Pty) Ltd 2015 BIP 384 (WCC). Biotech Laboratories (Pty) Ltd v Beecham Group Plc And Smith-Kline Beecham Pharmaceuticals (Pty) Ltd 2002 BIP 174 (SCA). Juta & Co Ltd And Others v De Koker and Others 1994 (3) SA 499 (T). New Media Publishing (Pty) Ltd v Eating Out Web Services CC 2005 BIP 127 (C). Mccauley Corporation Ltd v Brickor Precast (Pty) Ltd 1989 BP 314 (CP). Hokuriku Pharmaceutical Co Ltd v Cipla-Medpro (Pty) Ltd 1999 BIP 384 (CP). Chespak (Pty) Ltd v MCG Industries (Pty) Ltd 2014 BIP 465 (GP). Black Range Mining (Pty) Ltd v Minister of Mines and Energy and Another 2009 (1) NR 140 (HC). Neethling, J and Potgieter, JM Law of Delict 7ed (2015) LexisNexis 313. Burchell Criminal Law 591 with reference to Milton, JRL (1996) ‘Common-Law Crimes’ in South African Criminal Law and Procedure Vol 2 3ed at 744. Oxford Advanced Learner’s Dictionary definition of “plagiarize”. Dean Handbook 1-65 at 8.3. See for example Jooste, C “The press(ing) matter – plagiarism and copyright infringement” IPStell 2012 available at http://blogs.sun.ac.za/iplaw/2012/02/02/the-pressing-matter-–-plagiarism-and-copyright-infringement/ for a selected discussion of the applicable copyright principles in the case of plagiarism. Either because it is not a substantial reproduction or because the author is legally entitled to reproduce the work by way of license or the operation of law, such as an applicable fair dealing exception of the expiration of the duration of copyright protection. De Kock, A (2011) ‘Die verskil tussen “plagiaat” en “leen”’ SA Vryskytskywer Nuusbrief 20 April 2011 available at http://www.savryskutskrywer.co.za/april_20_nuusbrief_03qlopfg.htm. It is, of course, conceivable that one author may convey the same idea or apply a similar technique as another without recourse to the original work. In this case, plagiarism does not occur because there has been no reproduction. However, where it is clear from the facts that the similarity in underlying value represents the act of borrowing, plagiarism has occurred even though there may be no text borrowing. This is most common in the case of paraphrased text.